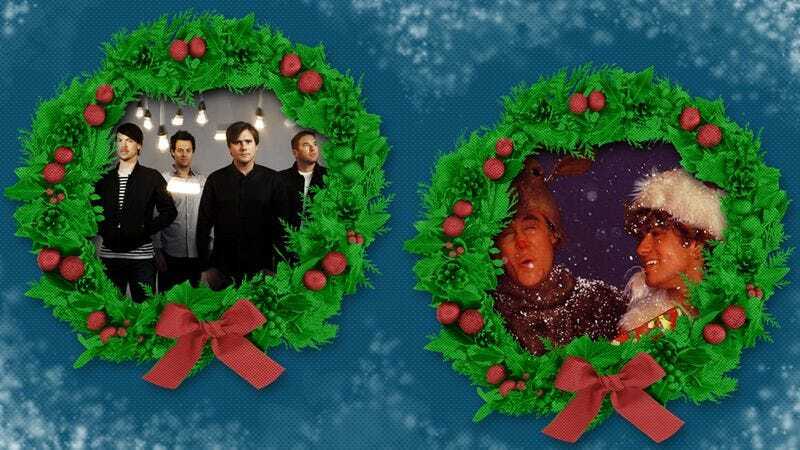 Every December, there seems to be only a handful of holiday songs, but a multitude of versions of each. This year, we’re throwing down in a Christmas Carol Cage Match to decide the definitive version of some of the most common seasonal cuts. Two of our writers will make a case for either side, but we’re leaving it up to you to decide the winner in our online poll. Check Twitter tomorrow for the results. Who could have predicted that Wham! would give us one of the only Christmas standards to emerge during the ’80s, decades after most classics had been established? A pop-heavy British duo that first erupted in the U.S. with the perky “Wake Me Up Before You Go-Go,” Wham!, featuring George Michael’s frequently anguished vocals, went on to become the torch duo the ’80s needed. “Careless Whisper,” “Father Figure,” “Everything She Wants”: The majority of Wham!’s subsequent hits were emotional droners. In that context, it makes sense that Wham!’s contribution to the Christmas canon would be another sob story, with thoughts of a happier holiday just a year prior. In 2001, Jimmy Eat World’s Bleed American garnered far more attention for its title than for the quality of its songs, earworms notwithstanding. The album’s title was deemed to be in questionable, un-American taste after the 9/11 attacks (although it was released two months prior), and it was renamed Jimmy Eat World, making it the band’s third self-titled release in as many years. Perhaps in an effort to make their patriotism known, the band followed up that eponymous do-over with a cover of Wham!’s “Last Christmas,” because nothing brings Americans together like a little commercialism.